I have began practicing yoga since 2000 when my wife dragged me to my first yoga class at the Moscow Yoga Center in Moscow, Idaho. Half way through the class I realized that I had no pain from some old injuries from being a Paratrooper in the U.S. Army. It was at that point I knew I needed to teach Yoga. At the time I was earning a bachelors degree in Recreation with a minor in Rec. Therapy. Yoga seemed to have something for everyone and that is what attracted me to bringing yoga to a bigger audience. 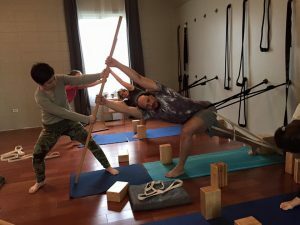 I began taking weekly classes at the Moscow Yoga Center, learning from the gifted teachers and healing my physical injuries from life as a paratrooper and extreme sport enthusiast. Soon I was taking advanced studies courses. In 2001 I was given the opportunity to teach at the University of Idaho. After I graduated, my wife and I moved our little family to Sonoma California where I was hired as a Recreation Therapist. Motomi been practicing yoga since 2004. 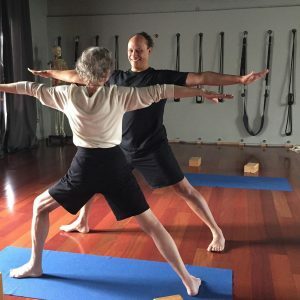 She enjoys practicing different styles of yoga and is especially drawn to the precision and alignment of Iyengar Yoga and to the strength of Forrest Yoga. 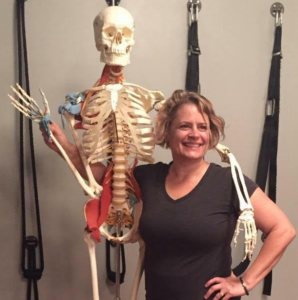 She completed the Prairie Yoga 200-Hour Foundation Teacher Training in 2009 and Ana Forrest’s Advanced Teacher Training in 2011. She’s been practicing with Jeff since the summer of 2011 and is grateful for his guidance and inspiration. he ever offered one that would fit my schedule, I would have to take it. I finished my 200 hour certification in June of 2016 and will finish my 500 hour certification near the end of 2017.